The SAR Management System (SMS) is a component of PawPrint´s XDe specifically designed to track all aspects involved in a Marine based SAR organization. The system is entirely web based to provide secured access to personnel from all areas of the organization: from SAR crews to office administrators. It combines intelligent tracking of SAR missions, training, units, personnel, vessels, equipment, activities, expense claims, requests, and administrative data across an entire region in a database with dynamic links to other data sources (RCC) and endless potential for growth. For an overview of the SAR Management System, watch this short video that outlines some of the features of the system. 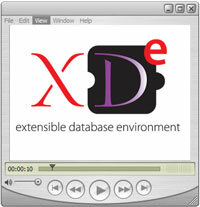 The video is available in both Quicktime and Windows Media formats in various sizes. 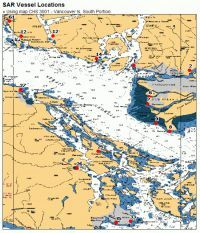 The SMS was initially developed for the Canadian Coast Guard Auxiliary - Pacific (CCGA-P) as a pilot project by PawPrint.net to help eliminate a cumbersome paper flow and streamline their organization. Development began in March of 2005 and continued for over a year before the system was placed into production in parallel with their paper workflow in January of 2006. As of August 2006 the CCGA-P stopped processing paper forms entirely. It is estimated that the SMS saved over 1000 hours of volunteer time, and at least 1000 long distance fax calls in it´s first 6 months of operation. Producing never before possible real time reporting and tracking.